I like the Grammys. Originally called the Gramophone Award, the Grammy Award is given to outstanding musical artists by the Recording Academy at its annual awards event. Musicians and record labels from all over the world submit their best work for a chance at being honored with a Grammy Award (and subsequent commercial and financial success). I love music. I’m a dancer, and music inspires my soul. Music is like breath to me; without it, it’s hard to keep going, to keep living. While I still consider myself a dancer, it’s been a while since I actually was a dancer; somehow pressing the pause button for a brief moment to have a baby…and then another…has surprisingly dragged out to be a nearly 10-year stop of my profession, of my life. I love being a mother, but dance was always so much a part of my life…of who I was, who I am. While I was dancing professionally in various mediums of dance and teaching dance, I was discovered by a director of a circus act troupe; Roy Johns was a friend of the producer (actor Arye Gross) of a play in Hollywood in which I had managed to join as a flamenco dancer. As with many people in the “industry,” it’s not what you know but who you know, and Roy knew Arye, who then knew me; Roy asked Arye for an introduction, and before long I found myself dancing on stilts and attempting to juggle (juggling was never a feat I mastered) along with numerous dance/acting/modeling beauties in Hollywood. As difficult as classical ballet or flamenco dance are, the typical pay for those types of events/gigs doesn’t pay nearly as well as stilt-walking does (well, at least as well as events/gigs with Roy Johns’ Girls on Stilts do). Perhaps it’s the element of danger that yields a higher pay rate. Regardless, while working with the Girls on Stilts, I attended events (as an entertainer) that I probably never would have attended even if I had had large amounts of disposable income for such things. I worked huge parties and high-end, celebrity-studded events; I was bedazzling, and amusing, and captivating for many party-goers. Remembering back to when I was so incredibly shy as a child, it's a wonder that I ended up working as an entertainer and event announcer. When I had to give my first oral report in front of my 6th grade class, I opened my mouth to speak, but nothing came out; I couldn’t speak. And when I couldn’t speak, I got even more scared; I just stood there crying. Studying dance and drama, and learning how to perform in front of an audience made me into a wholly different person today than I was as a shy child. And it all just came about rather naturally; I always loved music. Dance is an extension of music. I remember that I was driving on the freeway at the time (I was always driving on the freeway when I lived in L.A.: it took forever to get from Point A to Point B). And when the day of the actual event arrived, it was no less of an experience than I could have imagined on the day that I received that second phone call. The security was super high (there was a multitude of police officers guarding the roads in to the parking lot); I got waved straight through. After setting our belongings down in our designated dressing room (which was later swapped because someone in the headlining band had a hissy fit over the band’s designated dressing room...we ended up with the larger room after the swap), we were led on a walk-through of the venue, the Los Angeles Convention Center. It was incredible; huge sheets of white flowing fabric were hung from the tall ceiling in such a way that dozens of “rooms” (somewhat like living rooms) were created in the vast space. And the various “rooms” had different layouts of couches, and cocktail tables, and cozy café-type nooks. Lamps and floral arrangements added to the effect. It was a bit surreal during the walk-through, but when we re-entered the space for our actual gig, it was magical. Theater, performing, has this exciting magic about it when the show begins. Maybe it’s the blend of nerves and an audience’s hush of anticipation, but it’s as if time slows down and every sound is perceptible, every smell is noticed, every glimmer of light is recorded. The air feels. Breathing has to be remembered. Heartbeats become apparent. And that night at the official party for the Grammys was magical. The space became like an underwater jellyfish tank with different shades and hues of blue, green, and violet lights illuminating the billowy white sheets. The party guests were decked out in shimmering, elegant-but-edgy gowns and rock star-type men’s suits (the kind that are missing the formal collars or that are paired with black dress shirts instead of traditional white ones). I danced with the crowd just steps away from the featured band, the Black Eyed Peas. Although as much as I love listening to music, I haven’t been one to concern myself with what musicians' appearances; so, I have no idea who I might have met that night. I do, however, vividly remember dancing with Queen Latifah in the entrance way to the event as guests meandered from the awards show into the party. She was cool. She was very personable and gracious to everyone around her, unlike many others in the “business.” Although I wasn’t in my pointe shoes making headlines, I had a blast; I danced all night on stilts to live bands at the Grammys. I love music; I love dancing. I recently accepted a teaching position at a nonprofit that provides arts instruction to children of all economic backgrounds, and I was wanting to find some new music to inspire me for this new chapter in my life. So, when I received an email ad in my promotions tab offering a few boxes of CDs (classical and jazz music) from one of the many Free Cycle groups to which I subscribe, I leapt at the chance to be the first to reply; my reply was the winning reply. The only downside was that I was going to have to drive to Santa Monica to pick up some boxes of discarded CDs; however, considering that a CD sells for approximately $15, anything more than 2 CDs would definitely make spending $30 for a tank of gas worth the commute. I envisioned a couple of shoe boxes full of CDs someone had tired of hearing or had transferred to a digital system. I loaded up my kiddos and set out to pick-up some new-to-me classical music. When we arrived out our destination, it didn’t look like someone’s driveway or garage sale dump site; it was a really nice building with a really nice parking lot. I noticed the name on the building but didn’t quite connect that the guy I had emailed with on Free Cycle might be connected with the name on the building, but he was. I was standing in a lobby trying to keep my 4-year from climbing on this huge multi-colored gramophone statue (with a DO NOT TOUCH sign near it) and halfway listening to my almost-9-year old rambling on about a robot-movie invention in his head;0 I, myself, was in "mom mode" wearing shorts, a tee-shirt, tattered flip-flops – and no makeup. I was in a sort of in a fog realizing that there were a lot of Grammy logos on everything. When I casually asked the receptionist what building it was she looked at me with that still gaze and then that slow double eye-bat that implies that everyone else in the world knows what that building is, and then she confirmed my suspicion: it was the Recording Academy headquarters. She ended up being super nice and actually from my hometown, the City of Santa Ana. She and the guy who gave me 4 boxes (more like very large diaper boxes, not shoe boxes) of international Grammy submissions (and a whole box of award-nominated CDs), were really nice and glad to hear that I planned to use the music for children at a nonprofit arts center. 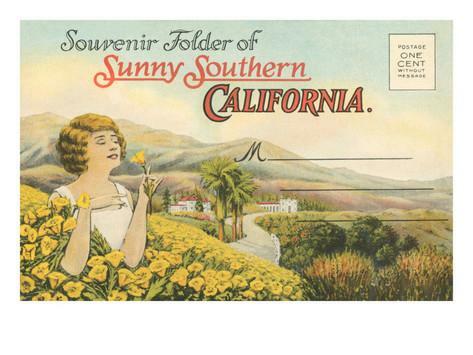 ​That drive back from the Westend of Los Angeles to the Westend of Santa Ana was one of the best, long, stuck-in-traffic drives I’ve had; it was a beautiful spring day in California with the scent of median wildflower blossoms wafting in the breeze, and the weather was perfect. The sky was blue, and the clouds were as puffy as cotton candy. I listened to an exquisite, orchestrated Argentine tango-jazz ensemble that simply took me away from the crawl of congestion and smog. I love music. I love good music. I like the Grammys. And, I definitely like Free Cycle. Check it out: FreeCycle.org.